New Hartford, NY (October 6, 2018) – A Higby Road crash took place that caused injuries in a New Hartford woman. The Hartford Police Department was called to the scene of the accident on Friday morning, October 5. The accident happened around 7:30 a.m.
Police said that the accident happened at the intersection of Chapman Road. Matthew Tracy pulled his tractor-trailer into the intersection as he was trying to turn left. At the same time, 42-year-old Renee Aughey drove into the intersection, which is where she struck the truck head-on. Aughey was taken to the hospital with a back injury. Police are looking for witnesses who might have seen the accident happen. They continue their investigation at this time. We would like to offer our sincerest condolences to anyone who was involved in this accident and might have received injuries. We are here for you in your time of need. 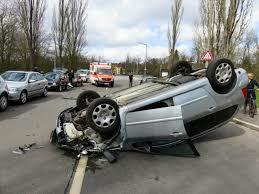 After an accident, one of the first things that you should do is retain evidence in your case. Ensure that you receive the medical attention that you need at this time, speak with police at the time of the accident, and retain as many witnesses as possible who might have seen the accident occur in full. There are many ways that serious accidents take place on our roadways. Some of the negligent actions that take place are due to aspects like speeding, drowsy driving, distracted driving, and more. Luckily, you are not alone when it comes to your accident. At Hach & Rose, we have empathetic attorneys who are willing to stand by your side in every step of your case to help you receive the results you deserve. Please do not hesitate to contact us at this time. Call us for more information at 212-779-0057.